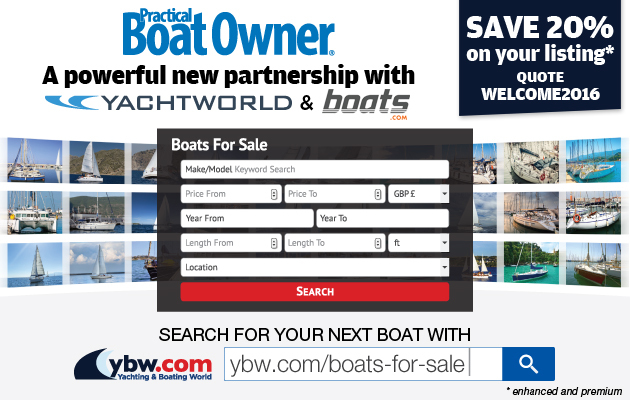 Few things are more displeasing to the eye than a wobbly boot-top line – and few things more likely to improve the look of your boat than a well-painted one. Starting at one end, stick the masking tape in the correct place. Now unroll a length of tape about a metre long, and keep it in tension at all times. 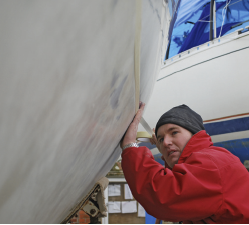 With the tape stretched out, look back along its length while gently laying it flat against the hull in the appropriate place. Use your position at the end of the tape to ensure the curve is fair. Don’t press the tape too firmly yet – you may need to peel it back for small adjustments. Unroll more tape and continue. Once you’re happy with the whole line, press the tape firmly against the hull. Look back along the tape line to ensure it runs fair. 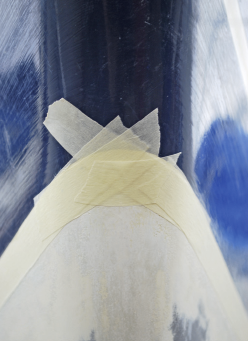 At the bow, use a number of small pieces of tape to take the masked line around the stem. 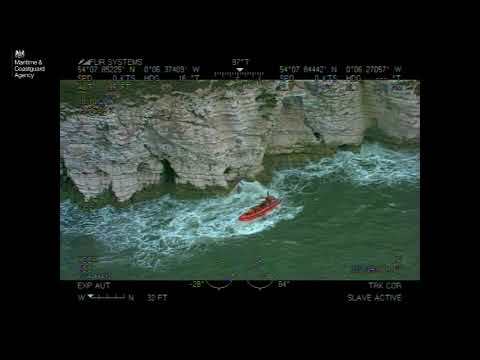 If your previous boot-top isn’t visible, there are a few methods to find the new line, but all require the boat to be chocked level to start with. The traditional way is to use poles with string tied at the correct height. Keep the line taut and ‘roll’ it around the hull, marking its position every few inches, then join the dots with one edge of the masking tape. A more modern way is to use a laser level on a tripod, positioned amidships and rotated so you can mark where the laser shines on the hull.